Finally, Cristiano Ronaldo has opened his account as a Juventus player after drawing a blank in his opening three Serie A games. The Portugal international drew mixed reactions from football fans across the globe when he joined the Bianconeri for a reported £88 million. And, following that signing, the world has been waiting for the five-time Ballon d’Or winner to set the Italian topflight alight. 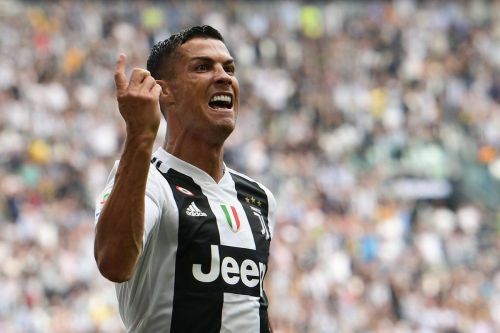 It took four games, but once Ronaldo got on the score sheet against Sassuolo on Sunday, it was obvious that we were in for a good show. The 33-year-old opened the scoring for Juve in the 50th minute, before adding a second just after 15 minutes. In fact, it could even have been three. In netting a double, Ronaldo recorded some amazing stats that only he can actually boast of. Everybody knows Cristiano Ronaldo is a goal machine, but the only surprise is that the Portugal captain continues to defy the odds even at age 33. 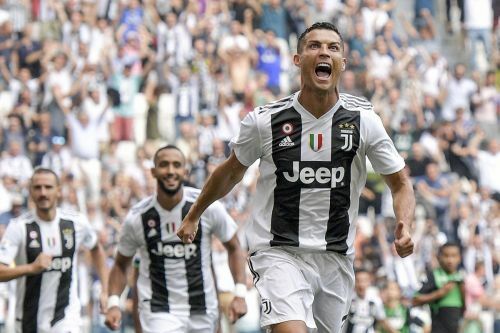 On Sunday, Ronaldo was once again at his best, scoring twice as Juventus defeated Sassuolo 2-1 to make it four wins from four league games. But in scoring those two goals, he has now extended his record as the player with most goals among his active colleagues. Ronaldo currently has 660 career goals scored for both club and country. That is 39 more than his nearest competitor in that list, as Lionel Messi comes second-place with 621 goals of his own. In fact, the only active player who joins the superstar duo on this prolific scoring list of having scored over 500 career goals is Zlatan Ibrahimovic.